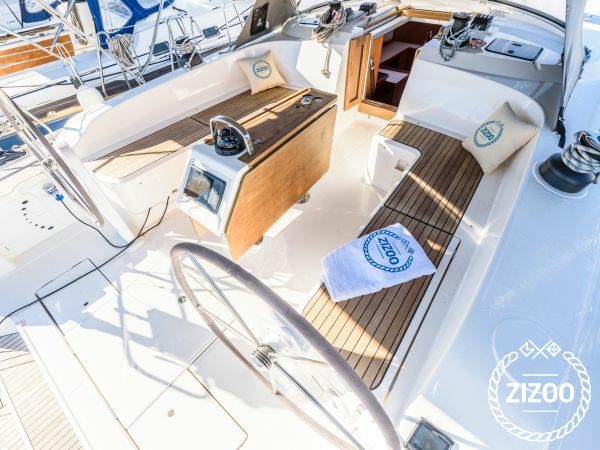 If you are looking for a stylish, yet comfortable charter yacht in Trogir near Split, then this 2016 Bavaria 51 is the right boat for you. From its modern, light interior design to its spacious deck and elegant swimming platform, the Bavaria 51 is an ideal traveling vessel and home while at sea. The is 51 is one of the largest models made by the German boat manufacturer Bavaria, yet handles like a dream. Like all Bavaria Yachts, the 51 is made with cruising and comfort in mind, yet what sets this boat apart are its fine interior and exterior finishes that enhance its function as a fun and beautiful place to rest, relax and entertain while sailing in Croatia.